April 30 (Bloomberg) — Empresa Nacional de Electricidad SA, Chile’s biggest power generator, said it plans to invest about $1 billion this year to expand capacity. The Santiago-based company known as Endesa will invest in wind farms, a natural gas plant and a coal steam plant, adding 680 megawatts of capacity, Chief Financial Officer Manuel Irarrazaval said during a conference call today. 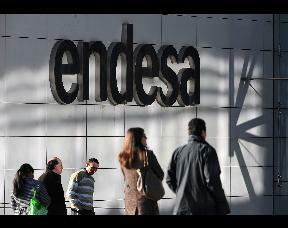 Endesa, which also operates in Brazil, Peru and Colombia, is expanding in Chile after sales there helped drive first-quarter earnings growth. Fuel costs fell in Chile and hydropower capacity rose after rainfall returned following a drought that hurt generation last year. Net income rose to 166 billion pesos ($286.2 million) from 68.4 billion pesos a year earlier, as revenue jumped 24 percent, Endesa reported yesterday.